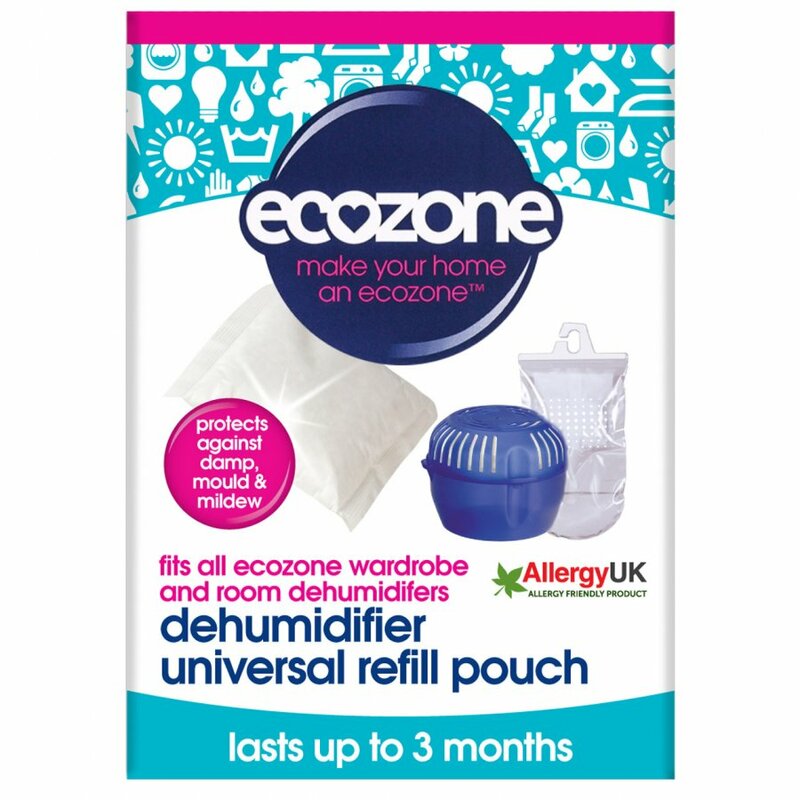 The no mess refill pouch for the Ecozone Hanging Wardrobe Dehumidifier and Ecozone Room Dehumidifier. The Ecozone Dehumidifier will absorb excess moisture, helping to protect your home from damp and mildew. Ideal for wardrobes, caravans and cupboards. Will fit all Ecozone dehumidifiers. The Ecozone Dehumidifier Refill Pouch product ethics are indicated below. To learn more about these product ethics and to see related products, follow the links below. Does what it is supposed to do. Absorbs a large amount of water from surrounding area. Ideal for helping damp washing to dry on an airer. Place it underneath the damp washing and see how much water is collected. Does the job in a too frequent bath household! There are currently no questions to display about Ecozone Dehumidifier Refill Pouch.